Staying healthy and safe at work is very important for both employee and employer. No matter what industry you are in, it is important to reduce your risks of injury and illness at work as much as you possibly can. Here are some tips and advice to help make your workplace safe for everyone. Once you know the particular hazards of your job or workplace, you can take steps to reduce your risk of work-related injury or illness, and create personal risk assessments. The most common causes of stress in a workplace include long hours, heavy workload, job insecurity and conflicts with colleagues. Stress can lead to depression, sleeping difficulties and problems with concentration, which can then lead to injuries. Staying fresh and alert will help you avoid injuries. Schedule your most difficult tasks of each day for the times when your concentration is at its best, such as first thing in the morning, or just after your lunch break. Make sure your work area is laid out appropriately for your work use. Use ergonomically designed furniture and equipment, and rearrange your work area so that everything you need is within easy reach. Instead of trying to lift or carry a heavy objects, use a wheelbarrow, conveyor belt, crane or forklift. If it is available use it. If you do need to pick up and carry heavy loads, keep the load close to your body and lift with your thigh muscles. This will protect your back from any damage or strains. 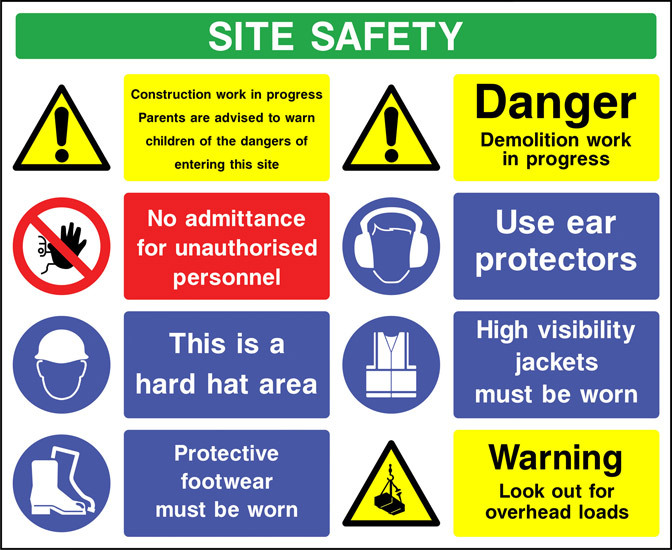 Organisations or unions can offer information and advice on workplace safety issues.